We’ve emulated a steady stream of hand-held games from Nintendo, Tiger and others. Our Tiger Game.com emulation now runs all released games. Acorn computer emulation improvements have been too numerous to count. In particular, MAME now supports a huge array of peripherals. Emulation for home systems based on the SSD XaviX, SunPlus µ'nSP and V.R. Technology VT platforms has really advanced, bringing a generation of TV games to life. MAME now runs CLIX on InterPro and HP-UX on HP9000/300, both with graphical desktop environments and networking. MAME will also run SunOS with the SunView desktop environment on some SPARC workstations. Additionally, the SGI Iris Indigo R4000 shows its boot menu. 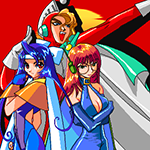 Long-standing graphical issues have been fixed, including priorities in Pac-Land and Moon Patrol, row scroll effects on Capcom CPS-3, and numerous glaring errors on Tatsumi games. Hit detection on the now-infamous helicopter in Time Crisis has been corrected, rear-view mirrors work in Ridge Racer 2, Rave Racer and Ace Driver, track mirroring works in Rave Racer, and graphics have been improved across all Namco System 22 games. Taito C-Chip emulation finally allows Bonze Adventure to play as intended, solving all the persistent gameplay issues. Games with Capcom QSound and Taito Zoom ZSG-2 hardware now provide a far more enjoyable auditory experience. Rare arcade systems keep getting dumped and emulated, including Tom Tom Magic, the original Gigas Mark II, Last KM, Night Mare, El Fin Del Tiempo, a prototype of Led Storm Rally 2011, and the Pac-Man hack Titan. Some of these were thought to be lost to time. MAME 0.205 is no different. Newly supported arcade systems include Unico’s Magic Purple, and Visco’s never-before-seen prototype Pastel Island. The latter ties in nicely with improved video emulation for the SSV platform (yes, this fixes other long-standing glitches, too). Newly playable machines include Konami’s Tobe! Polystars, Evil Night and Total Vice. Yes, Konami M2 emulation is finally here! Be aware that there’s still a lot of room for performance optimisation on this system. Putting arcade systems aside for a moment, this release includes support for Dance Dance Revolution Strawberry Shortcake, and the Nintendo Game & Watch titles Oil Panic and Squish. Interestingly, there are no other emulators or simulators for Squish, and it hasn’t been included in any of Nintendo’s Game & Watch collections. It seems to draw inspiration from the Famicom game Devil World. There are hundreds more Commodore 64 cassettes in the software list now, and quite a few more BBC ROMs as well. Software lists have been added for the Nascom computers, along with updates to the boot ROM choices and better keyboard emulation. We’ve also created a skeleton driver and documented the known software for the Chinese Monon Color console. In a last-minute addition we added support for new version 2 .WOZ floppy images on the Apple II family. Of course, there are lots more additions and improvements that you can read about in the whatsnew.txt file, or you can get the source and Windows binary packages from the download page and try it out yourself. Enjoy the rest of the year, and all the best in 2019 from all of us at MAMEdev! * Improved tilemap wrapping in 8×8 mode and screen size/visible area/layer offset handling. * Analog-side 8048 MCU is not dumped or emulated – main ROM patched to work around its absence. * Removed BAD_DUMP flag from josvolly MCU dump – there’s no reason to believe the MCUs contain different programs.